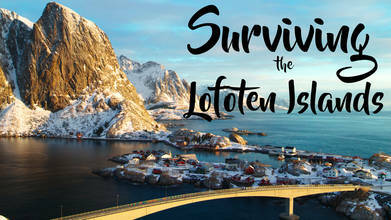 The Lofoten Islands are a beautiful, yet dangerous place in winter. Becoming a more popular, more heavily traveled area of the world, tourism rates are starting to grow even in the cold season. With its beautiful Northern Lights, purple skies, and snow-covered, idyllic towns it is easy to see why. What you don’t see are the plethora of days below zero degrees with snow and ice storms. Pilot Fujiabra Films experienced it all on his recent trip to Northern Norway, sharing the experience in this video.